Home Technology Domotics for yachts: Videoworks make it easy! Domotics for yachts: Videoworks make it easy! 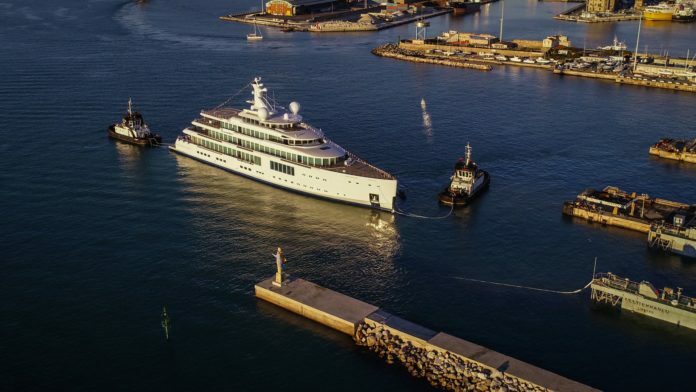 Videoworks Group confirms its role as a leader in AV and IT integrations in the world of yachting, with its systems installed in some of this season’s most eagerly awaited superyachts. The use of audio/video systems, domotics and an on-board network are now among the main requests made by Owners and their guests. Activities watching a soccer match on a large screen in HD, listening to excellent music with loudspeakers that faithfully reproduce pure sounds, managing lights, multimedia contents and air conditioning and browsing the internet in a secure and reliable manner, are now musthaves of system integration. 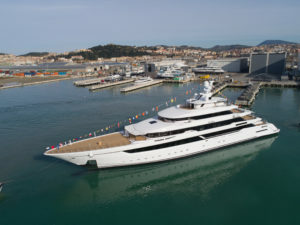 Videoworks has developed the on-board systems of vessels such as the 80-metre Columbus Classic M/Y Dragon megayacht, the new Benetti FB272 and FB277 giga yachts and the Sunseeker 116, as well as the first 50-metre Riva Yachts M/Y Race, the 79-metre CRN 135 and the 140’ by Pershing. Starting from the Owners’ various requests, Videoworks technicians opted for centralised or local racks. They then worked on making the system easy for the Owners and their guests to use, thanks to dedicated interfaces that can be managed on iPads. 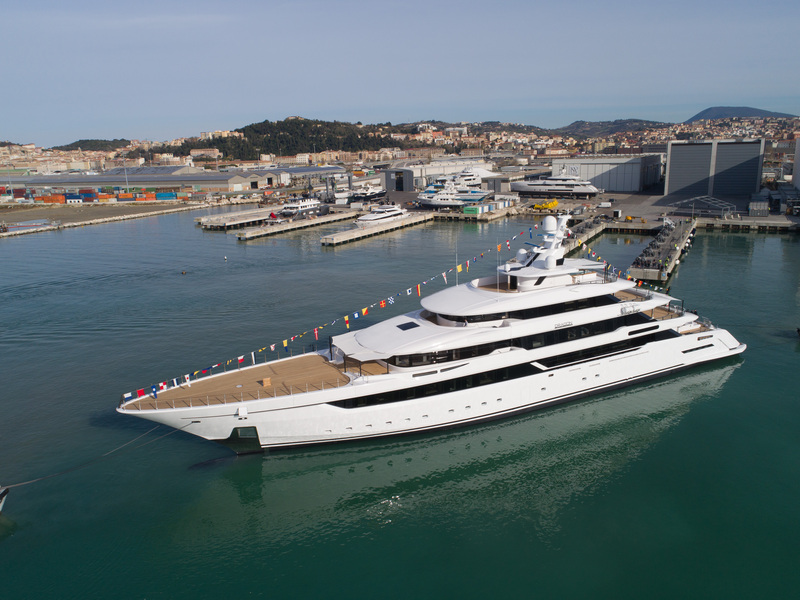 Systems such as these are installed on the new 55-metre yacht by Baglietto and the 31-metre yacht by Cerri. Here you can discover some works that the Italian company made on different yachts. AV electronics in every hall. The integrated AV system is managed by a Crestron CPU. The Videoworks interface for iPad makes it as simple as possible for the Owner to use and cinema lovers will be able to make full use of the VOD Kaleidescape system for the storage and reproduction of UHD contents. super-concentrated technology: Videoworks has designed the AV, IT, TV/Sat, CCTV, IP telephony and domotics systems. The AV-IT system was designed according to the philosophy of a distributed system – every cabin has a local rack containing the AV electronics. The audio system in the internal and external premium areas has the James Loudspeaker marine speakers. IP telephony is based on a Panasonic switchboard with fixed and cordless terminals. Thanks to its considerable experience and long-term partnership with LUTRON (a world leading company in the production of light control systems), Videoworks has designed and built the on-board domotics, i.e. the intelligent control of lights and blinds in the guest area, which makes time on board even more comfortable and pleasant. The CCTV system is made up entirely of professional PANASONIC products. It includes 5 highresolution IP cameras and a network recorder for recording video flows and archiving them in encrypted form. easy for the Owner and guests to use, the systems can be managed through a simple interface that can be installed on iPads and iPhones.